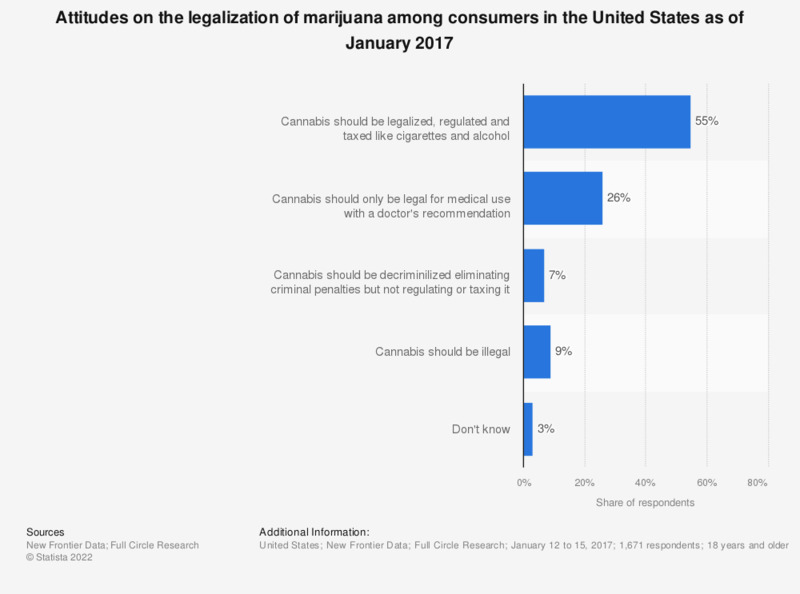 This statistic shows the attitudes towards the legalization of marijuana among consumers in the United States as of January 2017. During the survey, 55 percent of respondents said they believed cannabis should be legalized, regulated and taxed like cigarettes and alcohol. Which of the following information do you think should be mentioned on the label of tinned or prepared products?